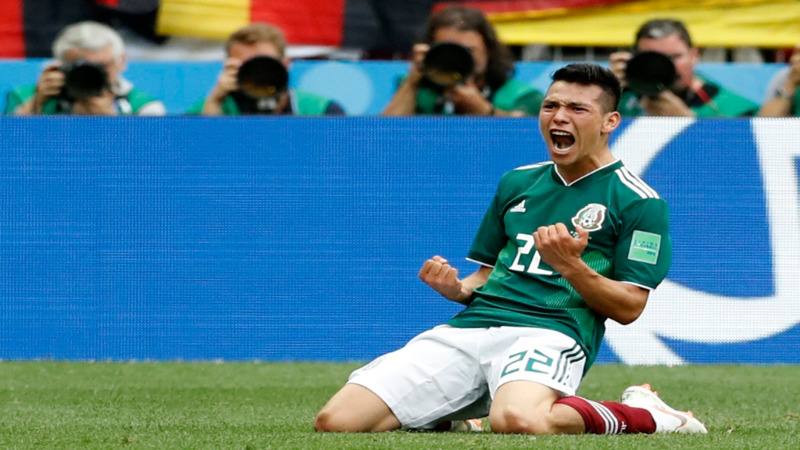 Mexico's Hirving Lozano, celebrates his goal during the group F match against Germany at the 2018 football World Cup in the Luzhniki Stadium in Moscow, Russia, Sunday, June 17, 2018. (AP Photo/Antonio Calanni). Germany’s defence of their World Cup title started with a whimper as they suffered a surprise 1-0 defeat to Mexico in Moscow on Sunday. Joachim Low's side came into the tournament on a run of poor form, winning just one of their six friendlies since qualifying for Russia 2018 with a 100 per cent record. 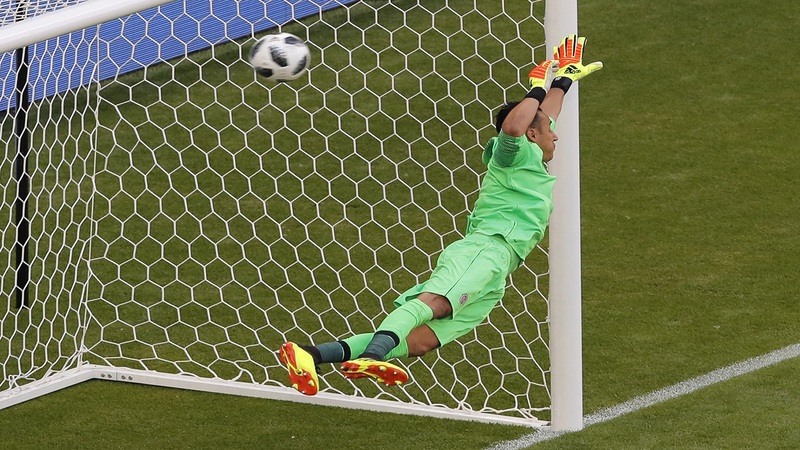 Those recent struggles were evident from the outset against a vibrant Mexico, who scarcely gave their more illustrious opponents a chance to settle during a pulsating opening. 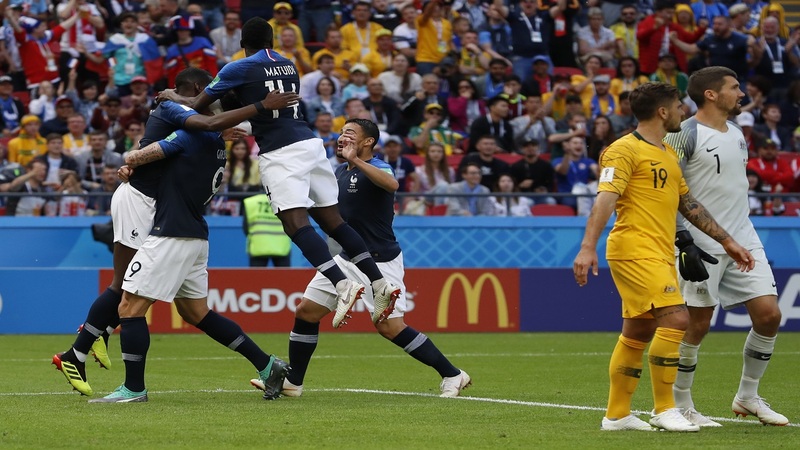 Their positive approach was rewarded with the only goal of the game after 35 minutes when Hirving Lozano finished off a flowing counter-attacking move with a crisp drive. Joshua Kimmich and Timo Werner both came close in the second period, but Mexico were able to hold on for a famous victory with something approaching relative comfort. 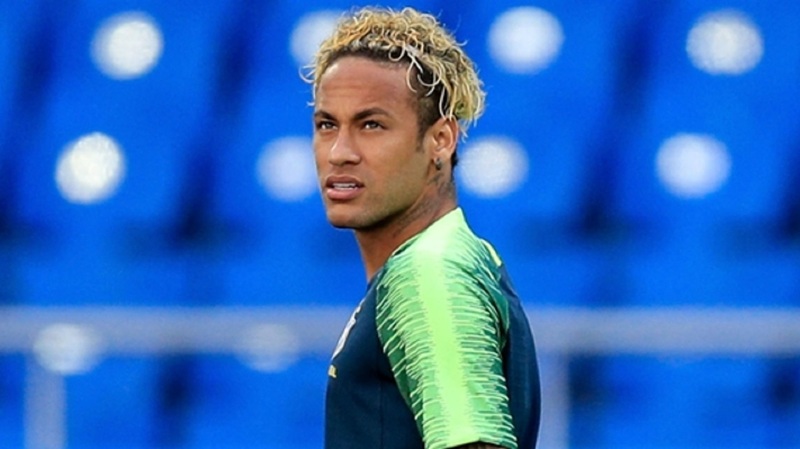 Low must lift his team for their next Group F game against Sweden on Saturday, while Mexico know a win against South Korea on the same day would give them a wonderful chance of qualifying for the knockout stages. Manuel Neuer was handed a first competitive start since September and would surely have been called into action inside the first minute had Jerome Boateng not superbly blocked Lozano's close-range effort. Werner then fired a warning shot across the face of Guillermo Ochoa's goal during a breathless opening few minutes. Any thoughts that Mexico would be overawed by Germany's assortment of superstars continued to be dispelled during a high-octane first half-hour, Hector Moreno heading straight at Neuer from their clearest opening. Germany looked shell-shocked by Mexico's verve and vigour, eventually falling behind 10 minutes before the break. Javier Hernandez's superb one-two with Andres Guardado allowed him to spin away from Mats Hummels just inside the Germany half and feed Lozano down the left. The PSV forward then cut inside the wafer-thin resistance offered by the back-tracking Mesut Ozil to crash a shot inside Neuer's right post. That deserved lead was nearly extinguished just two minutes later, however, when Toni Kroos' dipping free-kick arrowed towards the top corner. Ochoa did wonderfully well to deny the midfielder, getting the faintest of touches to push the ball against the crossbar. Yet any thoughts that Low's star-studded team would come out for the second half rejuvenated failed to materialise. Mexico were able to keep them at bay until Kimmich's ambitious overhead kick and Werner's instinctive close-range effort both flashed narrowly over in quick succession midway through the half. After squandering a number of golden opportunities in the closing stages, with Miguel Layun particularly wasteful, Mexico were fortunate to see Julian Brandt flash a half-volley just past the post in a frantic finish.